We grow up sitting in classrooms with uncomfortable desks and overworked teachers from the time we are 4yrs old and are expected to absorb all the information thrown at us. As we get older we begin to realize that we all learn differently. Some of us visual learners, some audio and many of us are tactile learners. These past couple of weeks I took learning outside the typical classroom and book setting and travelled overseas to the Uk, Paris and Amsterdam to expand my horizons of running a full circle wellness center. I am a tactile learner, I learn best with experiencing. So that is exactly what I did. I explored spas, natural products, and unique treatments from some very special places. I continued my education by participating in the World Spa and Wellness conference, held in London. I sat in rooms filled with some of the the top leaders in the industry. Participants ranged from those who run top spas and wellness centers around the world to those growing their own small businesses, to businesses interested in building their product brands and every other level of the industry. We engaged in deep and meaningful conversation about how we are each a huge impact on the future of healthcare. From our own microcosm communities, to the world at large: discussing how people view their health and how we can empower the public to take control over their health to live full and healthy lives. We discussed the ideas of wellness communities as a whole, to building community and a sustainable culture, and how to make these much needed wellness services affordable for all people. We shared ways to manage and reflect wellness within our own community and ways to bring those benefits to our employees, creating a lifestyle that reflects harmony and balance for all. We shared what tools have and have not worked for our different business models, as well as how to implement those into our own creations. Education is such a powerful tool and one should never stop learning. I encourage you to get out of your box and continue to learn something new. Weather it’s to expand your career knowledge, learn about a craft you have been interested in , or maybe even something as simple as trying a new recipe for dinner. Expand your mind. Expand yourself. Continue to learn. Our wellness services in our Downtown Asheville location include salt therapy and massage therapy services, such as couples massage, therapeutic massage, and energy healing. 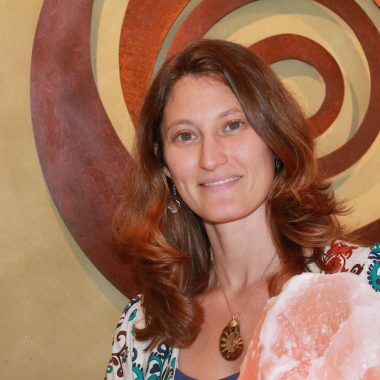 We also offer special events inside the salt cave where you can learn and experience a variety healing and wellness modalities including Sound Healings, Reiki Blessings, and Wisdom Circles.